Dried plant specimens provide extremely important information to those who research them on the world around us. Their study is essential for taxonomy, ecology, anatomy, morphology, biology, pharmacology, and many other scientific disciplines, in addition to history. Without proper herbarium storage, rapid degradation can cause these irreplaceable samples to be lost. Herbarium drying cabinets provide safe storage for plant specimen desiccation in a variety of museum and research applications. The herbarium drying cabinets work by extracting moisture from pressed plant specimens, which preserves their structural integrity during storage. An independently-controlled fan and thermostatically controlled 120 V heater allows the cabinet to reach a maximum internal temperature of 120°F. The fan and heater combination allows thorough and rapid desiccation of plant specimens. In the event of a thermal overload, the indicators on the doors will flash red. For normal operation, the indicators remain green. 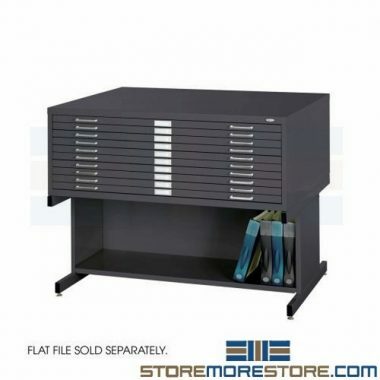 With five vented shelves adjustable on 1″ centers, you can store specimens of various sizes in one cabinet. 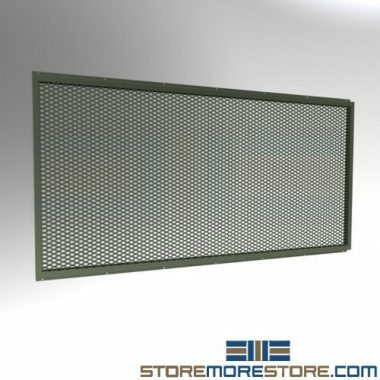 The perforated shelves are designed to provide efficient heat and air circulation throughout the cabinet to dry all specimens evenly. 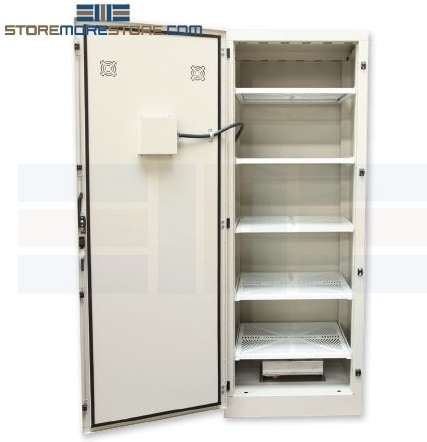 Herbarium drying cabinets for plant specimen desiccation are available to buy online. You can also click here to see more museum cabinet solutions. For further assistance, give us a call at 1-855-786-7667. One of our storage experts will help answer all of your questions. As you know, improper storage is very bad for your museum. Many of the artifacts and artworks you have are very old and practically priceless. In addition, specimens that are studied and researched at your museum need to be properly preserved. 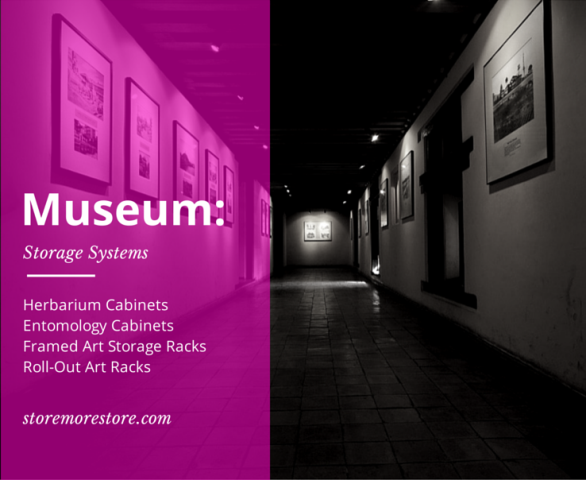 That’s why StoreMoreStore has a range of museum storage systems that are specifically designed to protect your collections. The many features of herbarium & entomology cabinets – paint that is non-gassing and non-reactive, heavy duty steel construction, a sealed and waterproof top – make them a secure investment in the protection of your museum’s collection. 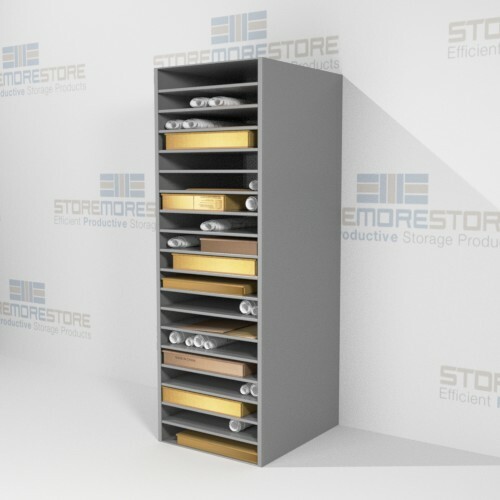 And if your collection is at risk for water damage from fire suppression systems or insect attacks, these cabinets offer the maximum protection available. 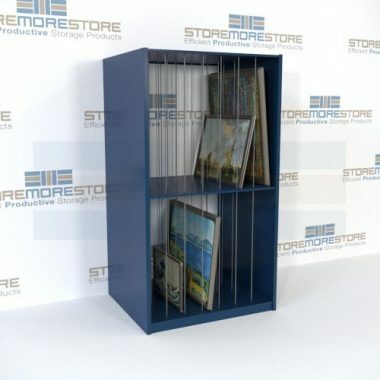 Framed art storage racks are a flexible and dependable art storage system. 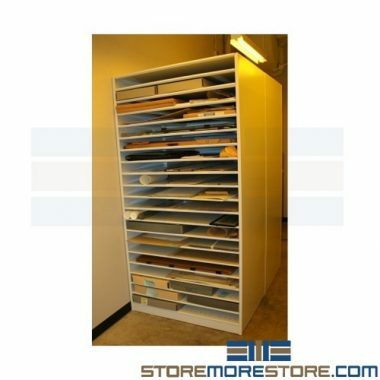 Each horizontal shelf can be adjusted up or down on 1 ½ inch increments so that each opening can be customized for storing you museum and gallery collection. 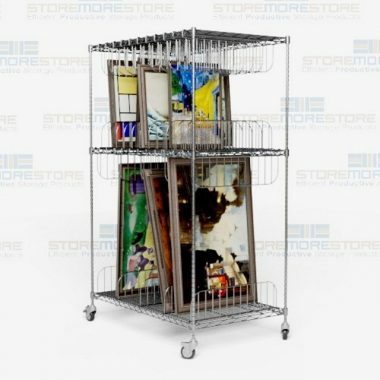 In addition, the framed art storage racks have a powder coat paint finish that does not put off gases to ensure your collection will be protected long-term. 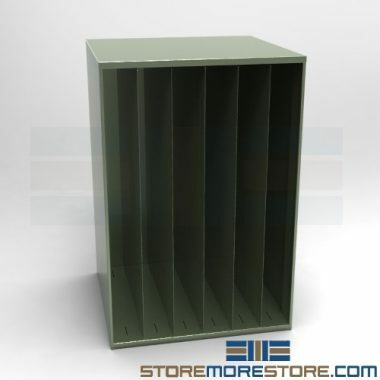 Also, there are 13 different colors to choose from for your racks that will match any décor. 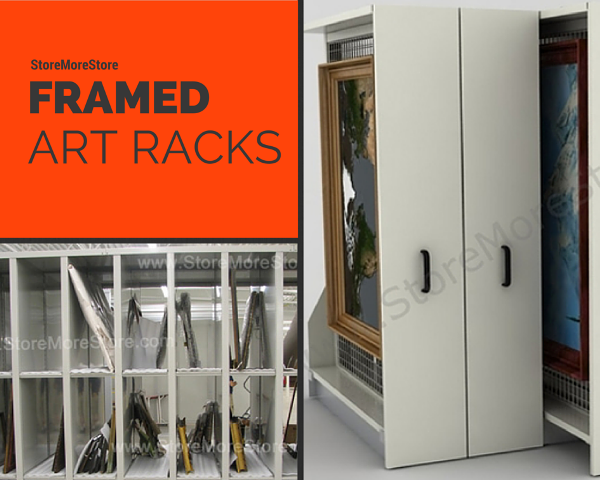 Roll-out art racks are designed to maximize space for storing museum art collections. Each panel on the rack has heavy duty braided mesh to allow for hanging artwork on both sides. The racks anchor to the floor with no need for ceiling support, and the linear motion design helps each rack to slide in and out without disturbing the other racks. Because there are no access aisles in between each row, you will easily be able to increase your storage capacity in less space. Also, the roll-out art racks slide smoothly and quietly, which makes them an excellent art storage system. Visit our museum storage home page to find herbarium & entomology cabinets, framed art racks, and more for your collection. If you need any help or have any questions, please give us a call at 1-855-786-7667. As botanists and mycologists, you take special care to preserve the form and color of plant specimens – carefully drying, pressing, mounting, and labeling them. Then after all that work, you store your collection in a cabinet or on shelving. But the next thing you know…everything has wasted away! What happened!? You probably used inferior cabinets or shelving. With the massive amount of work you do to ensure your herbarium collection is mounted and labeled correctly, you need to be using cabinets that will work just as hard to keep everything safe. 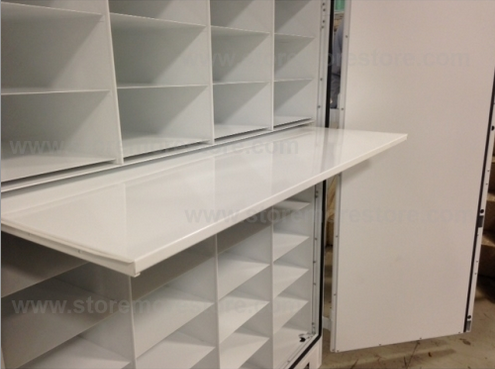 StoreMoreStore has cabinets that are designed for the express purpose of herbaria archival and storage. The many features of our cabinets – paint that is non-gassing and non-reactive, heavy duty steel construction, a sealed and waterproof top – make them a secure investment in the protection of your herbarium collection. 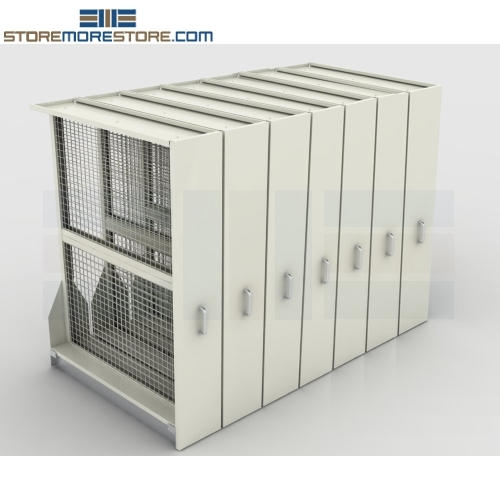 And if your collection is at risk for water damage from fire suppression systems or insect attacks, these cabinets offer the maximum protection available. Your specimens are what allow people to understand the relationships between plants; how they are distributed throughout the world; ways in which plants can be used to help our economy; and the science behind their molecular composition. 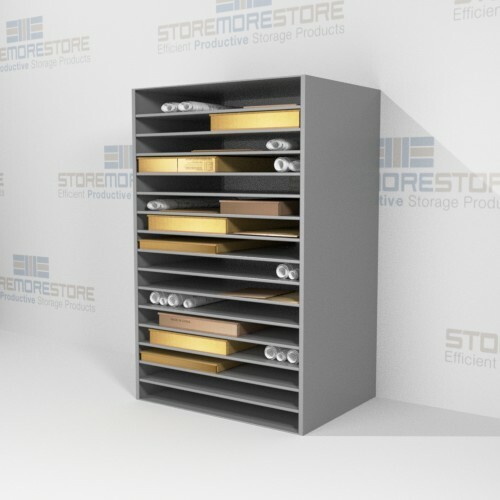 So why not make sure they are protected the right way: in a cabinet from StoreMoreStore. Botanists, Biologists, and Land Surveyors need to protect their plant specimen collections. 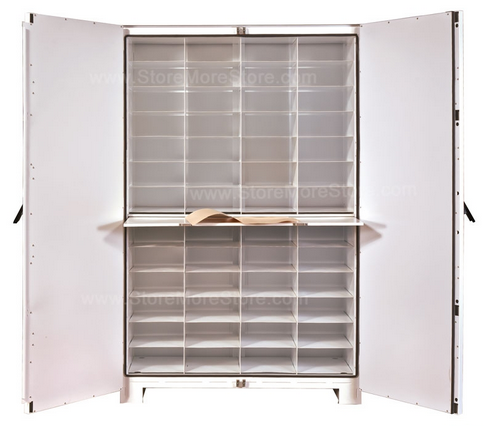 At StoreMoreStore, we have a variety of herbarium cabinets that will provide safe and secure plant specimen storage. Visit our website now to shop for herbarium cabinets! We have half height cabinets, wide cabinets, and large cabinets that will provide great plant specimen storage for your collection. We want to provide you with the perfect herbarium and botany storage cabinets that will meet all of your requirements, so if you don’t see what you’re looking for or you want to pick out a custom color for your cabinet give us a call at or send us an email. Our representatives will work with you to make sure you get exactly what you need! 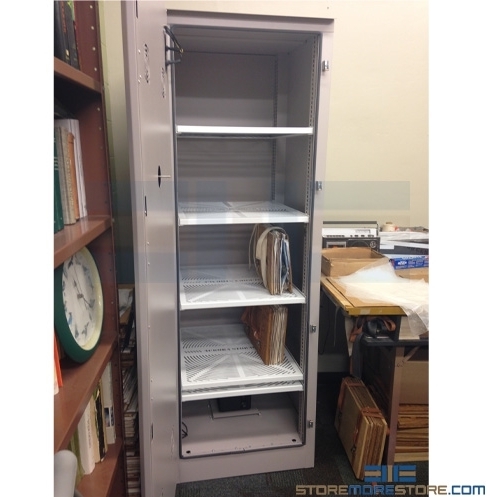 Interested in Other Specimen Storage Cabinets Besides Botany Storage Cabinets? 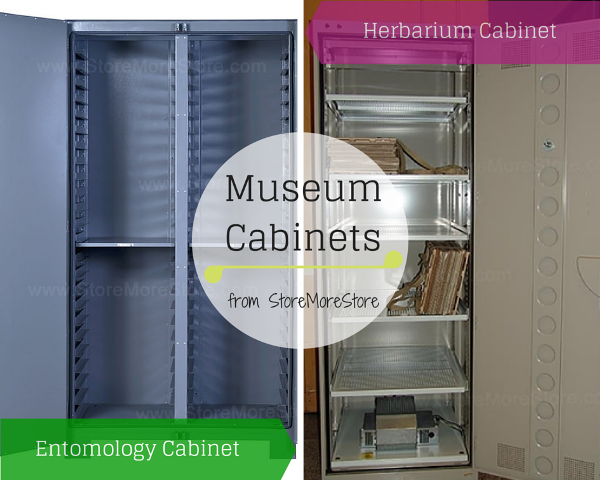 If you are interested in more than just herbarium and botany storage cabinets, then take a look at our entomology cabinets and museum cabinets!